A life insurance policy is a contract with an insurance company. In exchange for premium payments, the insurance company provides a lump-sum payment, known as a death benefit, to beneficiaries upon the insured's death. 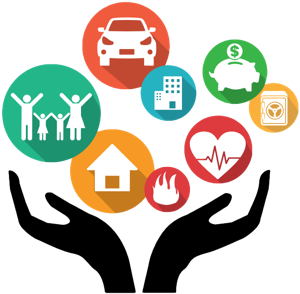 Typically, life insurance is chosen based on the needs and goals of the owner. Protection policies – designed to provide a benefit, typically a lump sum payment, in the event of a specified occurrence. A common form - more common in years past - of a protection policy design is term insurance. How do you determine how much life insurance you need? Follow this general philosophy to find your own target coverage amount: financial obligations minus liquid assets. Calculate obligations: Add your annual salary (times the number of years that you want to replace income) + your mortgage balance + your other debts + future needs such as college and funeral costs. This is because the dollars you pay into term life insurance premiums are only there to provide a death benefit to your beneficiaries if you die during a specifiedterm, while money you invest in whole life insurance premiums builds cash value that you can use later in life or that will add to the death benefit payout. There are two major types of life insurance: term and permanent (also known as whole life). Term life insurance only provides coverage during a set timeframe, and typically expires with no cash value. Whole life insurance is just like the name says:good for your whole life, as long as you keep paying the premiums.